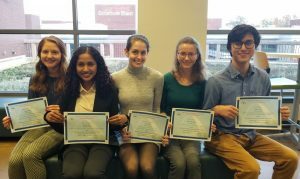 The 2018 ACS–St Louis Section Undergraduate Research Symposium was held Friday, November 2nd, from 2:30-5:00 p.m. in the Science Laboratory West building at Southern Illinois University–Edwardsville. Twenty-two presenters from six area universities shared work from fifteen projects. 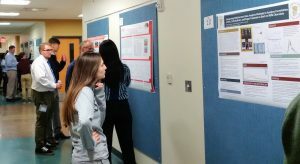 In addition to learning from each other, students had an opportunity to explain their work to a range of undergraduate students, graduate students, and faculty. More photos from the event are available via the section’s Flickr account. 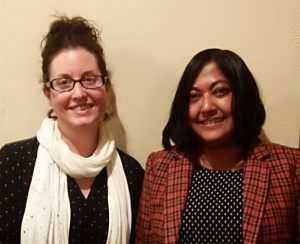 Symposium organizers for 2019: Monica Rieth and Samira Azad. Appreciation is extended to all the attendees and volunteers. We would also like to announce new organizers for the undergraduate research symposium for 2019: Welcome to Monica Rieth and Samira Azad!